These incredible places cover only 6 %of the Earth's surface but yet they contain MORE THAN 1/2 of the world's plant and animal species! Tropical forests contain more species than any other ecosystem, as well as a higher proportion of endemic (unique) species. As people clear large areas of tropical forests, entire species are vanishing, many of them unknown. A Rainforest can be described as a tall, dense jungle. The reason it is called a "rain" forest is because of the high amount of rainfall it gets per year.A tropical rain forest gets more than 60 inches (1.5 meters) of rain per year, although some regularly get more than 200 inches (five meters). 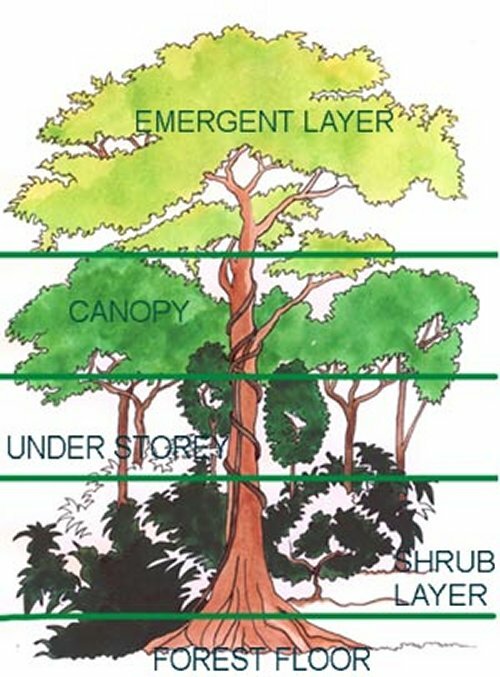 There are two types of rainforests, tropical and temperate. 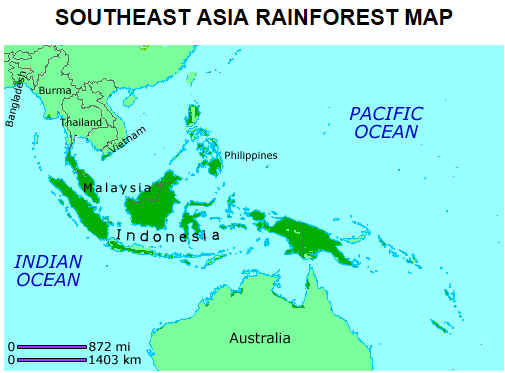 Tropical rainforests are found closer to the equator and temperate rainforests are found farther north near coastal areas. The majority of common houseplants come from the rainforest. 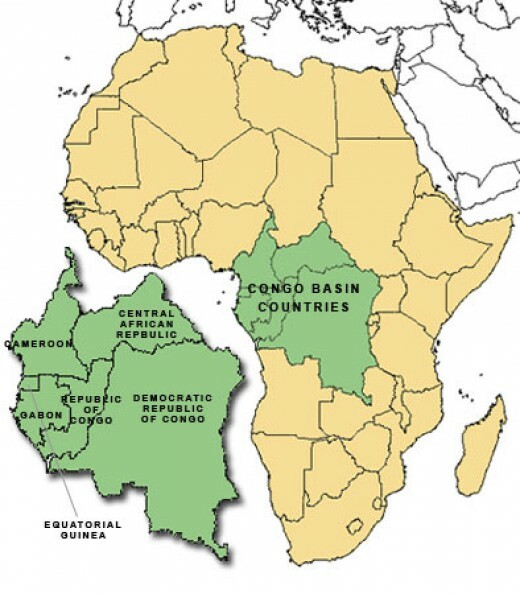 The largest tropical rainforests exist in the Amazon Basin (the Amazon Rainforest), in Nicaragua (Los Guatuzos, Bosawï and Indio-Maiz), the southern Yucatï¿½n Peninsula-El Peten-Belize contiguous area of Central America (including the Calakmul Biosphere Reserve), in much of equatorial Africa from Cameroon to the Democratic Republic of Congo, in much of southeastern Asia from Myanmar to Indonesia and Papua New Guinea, eastern Queensland, Australia and in some parts of the United States. 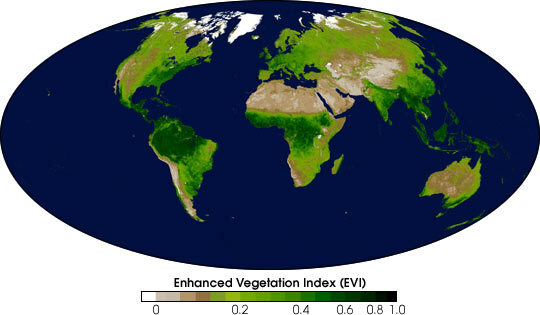 The majority of tropical rainforest is found within a 20 degree band around the equator. 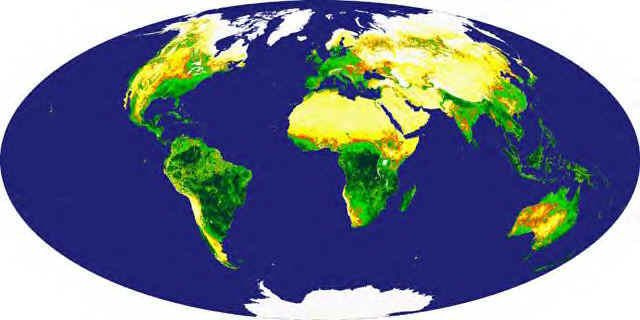 Outside of the tropics, temperate rainforests can be found in British Columbia, southeastern Alaska, western Oregon and Washington, the northern coast of California, Scotland and Norway, the western Caucasus (Ajaria region of Georgia), parts of the western Balkans, Japan, southern Chile, New Zealand, Tasmania, and parts of eastern Australia. The tallest trees are the emergents, towering as much as 200 feet above the forest floor with trunks that measure up to 16 feet around. Most of these trees are broad-leaved, hardwood evergreens. Sunlight is plentiful up here. Animals found are birds, butterflies and small monkeys live with bats, snakes and bugs. This is the primary layer of the forest and forms a roof over the two remaining layers. Most canopy trees have smooth, oval leaves that come to a point. It's a maze of leaves and branches. Many animals live in this area since food is abundant. The canopy is the home to birds, monkeys, frogs, and sloths, as well as lizards, snakes and many insects. This is the layer that grows between the smaller trees of the understory and the forest floor. This layer is made up of ferns and small shrubs. The forest floor is very dark. This is due to the trees above stopping the sunlight from entering the forest. It is estimated that only 2% of the sunlight actually reaches the floor. The soil on the floor is covered in a layer of leaves, twigs and dead plants, which rot down quickly to provide nutrients for the plants. The leaf litter is alive with invertebrates and microorganisms, which quickly rot down this surface layer. Mosses and ferns grow on the forest floor where it is warm, damp and shady. The soil is very sandy with only a thin layer of rotting vegetation. Without the trees, the soil quickly loses its ability to support plants and turns to desert-like conditions. The forest floor is home to some of the larger animals of the forest such as tigers and elephants in Asia, gorillas and leopards in Africa and tapirs and jaguars in South America. Tropical forests of all varieties are disappearing rapidly as humans clear the natural landscape to make room for farms and pastures, to harvest timber for construction and fuel, and to build roads and urban areas. Although deforestation meets some human needs, it also has profound, sometimes devastating, consequences, including social conflict, extinction of plants and animals, and climate change—challenges that aren’t just local, but global. The reasons for forest destruction vary greatly from continent to continent and from country to country. 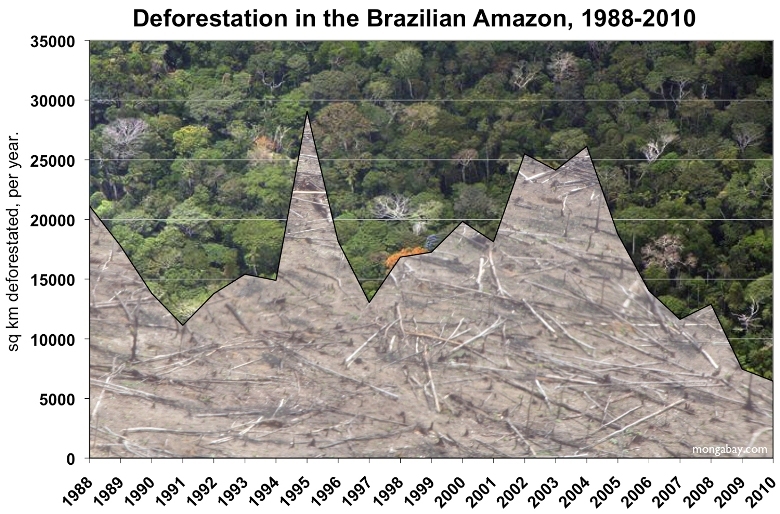 The forests are being destroyed at an accelerating pace tracking the rapid pace of human population growth. There are many causes, ranging from slow forest degradation to sudden and catastrophic clearcutting, slash-and-burn, urban development, acid rain, and wildfires. Deforestation can be the result of the deliberate removal of forest cover for agriculture or urban development, or it can be a consequence of grazing animals, primarily for agriculture. Rainforests are the most productive and most complex ecosystems on Earth.Rainforests are a key element of global weather systems. Destroying them alters the Hydrological Cycle-causing drought, flooding and soil erosion in areas where events were previously rare. The cutting and destruction of the Rainforests also changes the albedo or reflectivity of the Earth's Surface , which in turn alters wind and ocean current patterns, and changes rain fall distribution. 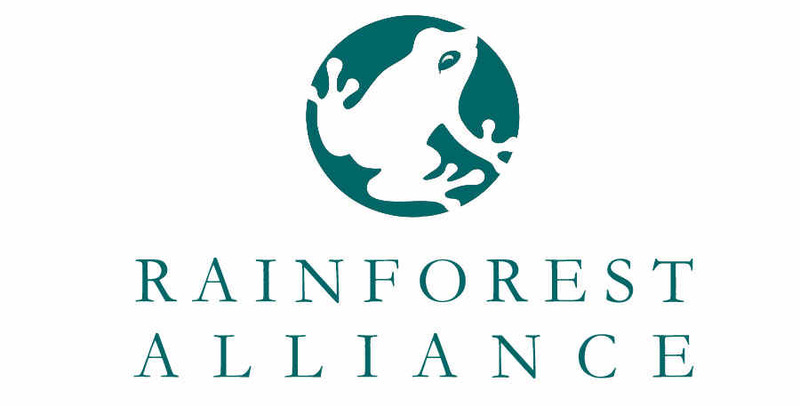 Most of the rainforest destruction has occurred in the last 50 years, with forests being destroyed at an alarming rate. Rainforests are home to more species of plants and animals than the rest of the world put together. An astounding number of fruits (bananas, citrus), vegetables (peppers, okra), nuts (cashews, peanuts), drinks (coffee, tea, cola), oils (palm, coconut), flavorings (cocoa, vanilla, sugar, spices), and other foods (beans, grains, fish) come from rainforests. Tropical forest fibers are found in rugs, mattresses, ropes and strings, fabrics, industrial processes, and more. Tropical forest oils, gums and resins are found in insecticides, rubber products, fuel, paint, varnish and wood finishing products, cosmetics, soaps, shampoos, perfumes, disinfectants, and detergents. Madagascar is 2% of Africa's landmass but has 10,000 species of plants -- 80% are endemic (found no where else in the world). The Amazon River is the world's largest river system. Its annual outflow accounts for one-fifth of all the fresh water that drains into the world's oceans. 780 tree species have been found in a 10 hectare plot of Malaysian rainforest -- more than the total number of tree species native to the US and Canada. In 1800, there were 2.9 billion hectares of tropical forest worldwide. There are 1.5 billion hectares of tropical forest remaining. Between 1960-1990, 445 million hectares of tropical forest were cleared. Asia lost almost a third of its tropical forest cover between 1960-1980 -- the world's highest rate of forest clearance. Almost 90% of West Africa's rainforest has been destroyed. We lose 50 species every day -- 2 species per hour -- due to tropical deforestation. Tropical rainforests act as a global air conditioner -- by storing and absorbing carbon dioxide from the air, storing the carbon, and releasing fresh, clean oxygen. Tropical forests yield some of the world's most beautiful and valuable woods, such as teak, mahogany, rosewood, balsa, and sandalwood. These woods surround us at home, in shops, and in offices. 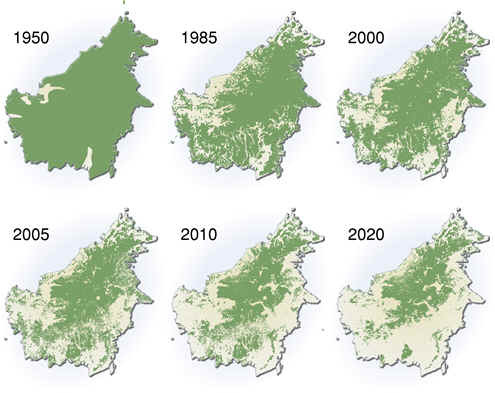 About 50% of all mammals and 25% of all bird species in peninsular Malaysia will become extinct by the year 2020 if the rainforest destruction continues. Over 50% of the Earth's species live in tropical forests. Over 2000 tropical forest plants have been identified as having anti-cancer properties. However, scientists have only tested 1 in 10 tropical forest plants for these properties and only intensively screened 1 in 100. 90% of all primates are found in tropical forests. Madagascar is home to all of the world's lemurs -- all are endangered. Almost 90% of Madagascar's forests have been destroyed. In Southeast Asia, traditional healers use 6,500 different tropical plants. Before 1500, there were approximately 6 million native people living in Brazilian Amazonia. By 2000 there were less than 250,000. 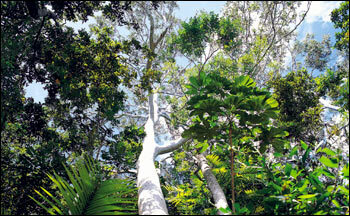 75% of Australia's tropical rainforest has been cleared since the late 1700s. Over 90 different Amazonian tribes are thought to have disappeared in the 20th century. It takes 60 years for a tropical rainforest tree to grow big enough to be used for timber. Tropical rainforests cover 6% of the earth's surface and contain over 50% of the earth's species. Over 2000 rainforest plants have been shown to have anti-cancer properties. Only 4% of the world's tropical rainforests are protected. More than 9000 species of orchids grow on tropical trees. The largest flower on Earth comes from a tropical forest - the Rafflesia grows up to 1 metre across. Costa Rica was the first Central American nation to cultivate coffee. Costa Rica was the first Central American nation to cultivate bananas for export. The developing countries, which account for most of the tropical rainforests, have almost 75% of the world's people but only about 15% of the world's goods. Unlike our forests most of the nutrients of a rainforest are stored in its vegetation rather than in its soil. Some 25% of all medicines used by Americans originated in a tropical rainforest. Many species of plants and animals are disappearing from the rainforests before they can be catalogued and studied. In most tropical countries only one tree is replanted for every ten cut. About 2,000 trees per minute are cut down in the rainforests. 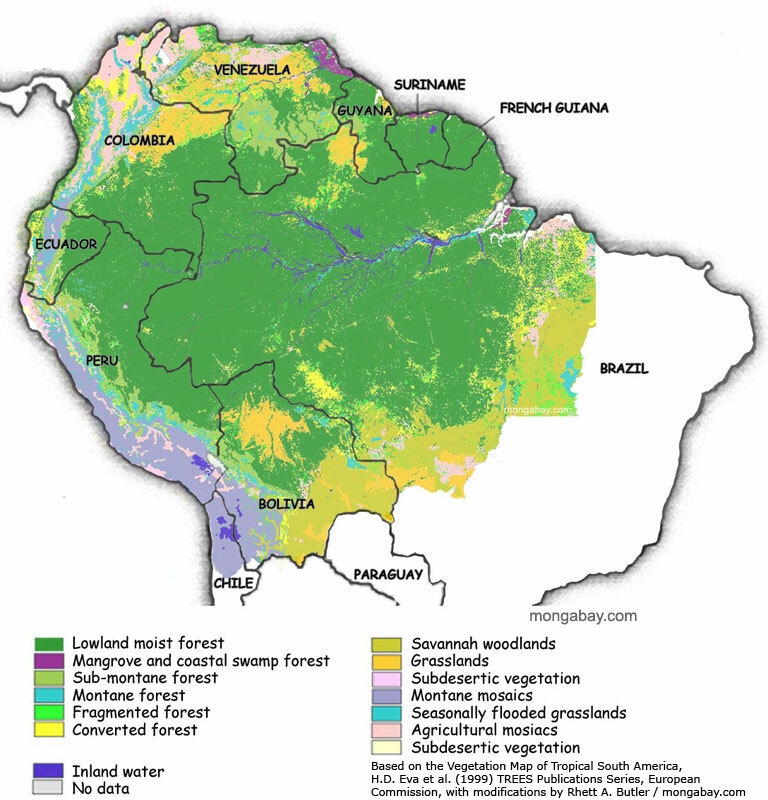 Half the rainfall in Amazonia returns to the atmosphere through the process of transpiration. In the tropics, wood is the main source of energy for cooking for millions of poor, rural people. Almost 65% of Central America has been cleared to create pastureland for grazing cattle. Rainforest land cleared for pasture or farming degrades quickly and is usually abandoned. The Ganges Plain, in India, is the most densely populated region in the world. It has suffered severe flooding because of deforestation. Most of the forests in India and Nepal have been cleared for agriculture. Use of powerful pesticides on banana plantations in Costa Rica has killed huge numbers of fish in nearby rivers and streams. In Papua New Guinea, butterfly farms are a successful operation that provides income and supports forest preservation. In the 20th century, 90 tribes of native peoples have been wiped out in Brazil alone. For every tropical plant species that becomes extinct it is thought that 20 insects are certain not to survive.